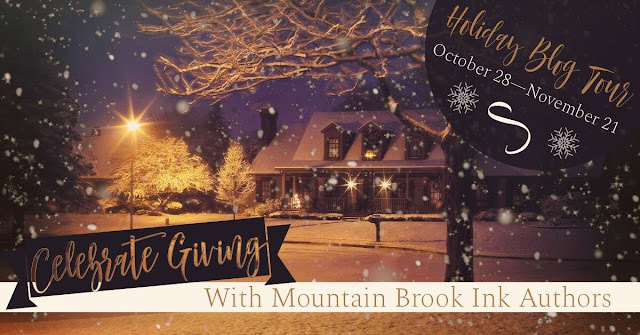 Welcome to Mountain Brook Ink's 2018 Holiday Blog Tour! We're so excited you've decided to join us on this journey of family, friends, traditions, and memories over the next month. You as our readers have done so much to pour into our lives, and this season we want to give back to you with insights into our lives AND some giveaways. The more days you follow, share, comment, and engage with us, the more entries you'll have toward a Kindle Fire Grand Prize or one of three Amazon Gift Cards! The Kindle Fire can be shipped only to the US. I'm also having a drawing for a set of the mug rugs that I made late last month. Check them out here. So comment on the blog and I'll add your name to the hat. If you read one of the deleted scenes and give a single detail about the scene that hasn't already been mentioned by those posting before you, you'll receive two entries. If you read both scenes and you'll get three. The links to the deleted scenes are close to the top of the left hand column of the blog. I'll draw it on the last day of the blog tour. Holiday traditions in my family are pretty much the usual. Turkey at Thanksgiving, My mom was always up early to put the turkey into the oven before breakfast so we could have a mid-day meal. That was my mom's outpouring of love to her family. My brother and I would watch the Thanksgiving Day Parade. She was always well prepared and everything ran like clockwork. Well, almost always. Once when I was a young adult and out on my own she discovered with great consternation that her oven was stone cold. Dead. So, we packed everything up and drove into town through six inches of snow to my apartment to finish cooking everything. By the time we got back, some of it wasn't quite as hot as we'd have liked, but good nonetheless. I even got to watch the last of the football game with my dad. Christmas was her favorite holiday. Though she didn't have a lot of money to spend, she shopped sales months ahead. If we had one tradition, it was fabric. She made my dad's dress shirts, even. Almost every stitch I wore came from her sewing machine. And before she bought her first sewing machine, she sewed my clothes by hand. She sewed miracles from remnants of fabric, sometimes without patterns. When I was a little girl, my Barbie dolls were the best dressed of any in the neighborhood. 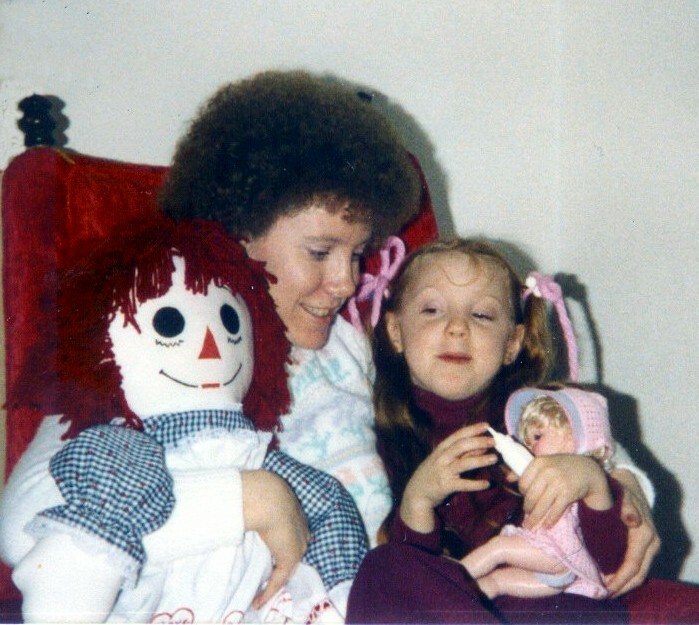 I still have my Chatty Cathy doll and a small trunk of her clothes. I noted this morning that the little swing coat and bonnet in the top center of the photograph is lined. And when I got married, she made my wedding dress. Then, she sewed for my children. She even made this Raggedy Ann Doll. One Christmas after I was out on my own, I decided to turn the tables on her. I bought fabric and made a robe for her. But the surprise was almost spoiled when she decided to make a stop to see me before heading somewhere. Thankfully, at the last minute she called to let me know she was coming. I'd spent the day sewing, and there were threads and pieces of robe everywhere in my small apartment. Quickly, I whisked everything out of sight and vacuumed the carpet and swept up the thread ends and little snips of fabric from the kitchen floor just in time. Finally, I lugged the old flatbed Singer I'd gotten from my husband's grandmother into the other room and closed the door. On Christmas morning, she was indeed surprised. When I explained what I'd been doing, we shared a laugh. My mom also made candy--chocolate covered cherries, divinity, fudge and peanut brittle. One year my mom and one of my uncle's friends had given a three year-old girl one of the chocolate treats, but she kept spitting it out. With her little face scrunched up, she pressed her lips closed and shook her head. I remember hearing, "But Martha that's good. You love chocolate." Little Martha didn't love this treat, and no one could figure out why. Turns out one of the batches was mistakenly made with bitter, unsweetened chocolate. No wonder Martha wasn't too thrilled with that supposedly delectable treat. I've been asked if I write from experience. The answer is somewhat. 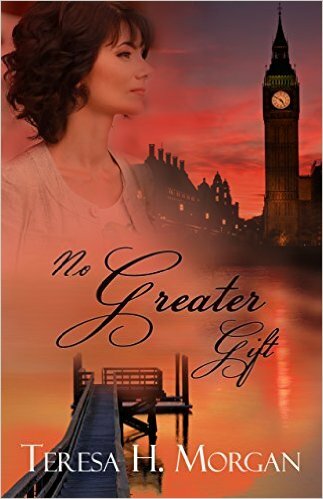 It's difficult to write about, let alone from the viewpoint of a character I can't relate to. So, there is usually some shared attitudes, questions or even heartache in every major character I write. In every book, I've tackled family conflict and the pain that causes, but I have to admit that there's more than a little of Grace in me. Don't forget to leave a comment on the blog, below, for a chance to win a set of the mug rugs. Also, there's the drawing for the Kindle fire. Lots of great prizes! Success is not absolute. Failure is not fatal. The courage to continue is what matters. How's your vision? Since I had the lens in my left eye replaced, I'm seeing things that I didn't know were out there. I'm noticing shades of colors and shadows I've never seen before. Objects are sharper than I can remember seeing them, before. How do the points look? Vision matters. Not just our physical vision, but our mental vision. In financial planning or job training classes, one of the most frequent questions you'll hear is, "Where do you see yourself in five years? In ten?" Then, ask yourself, "How do I get there? What's the process?" Before I could become an author, I had to know what the writing life looked like. I became a writer. And occasionally I even said it out loud. "I'm a writer." The next question was usually, "Are you published?" I had to get over that. 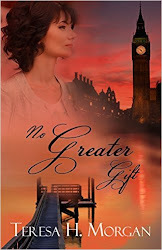 Published author? Not yet. Writer? Absolutely. What made the difference? Vision. I saw an ad advertising a newly formed writers group in a tiny town in South Carolina. I met other writers, and shortly after, I attended a writer's conference and I did what I do best. I asked questions. And I learned. Eventually, my first book was contracted and published. And then my second. And my third. But none of that would have happened if I hadn't had the vision to see myself first as a writer, then as an author. I'd wanted to be a writer from the time I was twelve. But until I was in my thirties, I had no idea what that would look like. How did a person structure and write a book? I didn't even know where to go to learn how to do it. But, I went to that writer's meeting and learned what the writing life looks like. Educators encourage their students to set small, achievable and measurable goals. I learned what I needed to do, and I followed the steps. I wrote and rewrote. And I submitted to publishers. I did what I could to make it happen and didn't take the rejections personally. And continued to write. Badly, but I wrote. You can't fix a blank page, after all. That's the real irony, here. I'm not good with words. Growing up, I never had just the perfect, witty come back. I was always grateful if I didn't make a bad situation worse or embarrass myself. That's why I wanted to write. On paper, I could go back and reorganize my thoughts and audition words and phrases to convey what's on my heart. My other dream was to play the piano. I never pursued it because I could never get beyond the cost and the size of the instrument. The result is that I have little understanding of music--just what I got in junior high school chorus and church choir. I had no vision. So, where would you like to be in five years? In ten? Is there a dream God has put in your heart that you've not pursued? Are you discouraged because your life hasn't turned out the way you'd hoped? Are you seeing only your current situation rather than possibilities? Or, does the goal seem to be impossible? If you have few dreams left, ask God for a vision for what He has for you. Your tomorrow doesn't have to look like your today. 17 that Christ may dwell in your hearts through faith; that you, being rooted and grounded in love, 18 may be able to comprehend with all the saints what is the width and length and depth and height—19 to know the love of Christ which passes knowledge; that you may be filled with all the fullness of God. Thursday after Bible study--we're studying the women in the lineage of Jesus if anyone's interested--I was drawn to the fabric store, our local JoAnn's. I've just finished a couple of large projects and I needed something smaller. Yes, smaller would be a good thing. The star at right is a "small" version of an old quilt block pattern called the Lonestar. Except for the gold corners and the pale background fabric, which also has gold flecks, it's made from 2 1/2 inch strips. Even though I tried to starch the stretch out of it, I still had some, ah, challenges to overcome. A seasoned quilter might be able to tell you just from looking what they might be, but I'm going to leave it to your imagination. Yes, I needed a small project. A couple of weeks ago I decided I needed to practice a technique before using it on another project--more about that later. I'm glad I did, for I learned a lot. It's hard not to learn a lot with every project because I'm what's called a confident beginner. This was my practice project. I'm seriously thrilled with the table runner. On Thursday, though, I was drawn to fall colors, and usually this time of year when winter is near, I'm more apt to cling to my white pants and bright colors until well into November. On my first couple of trips up and down the back wall that held the quilter's cottons, nothing caught my eye. On my third trip, the red with gold sparkled fabric and the brown print, both luscious, didn't just speak to me, they sang. I'd noticed them before, but they didn't really lend themselves to clothing. They were, after all, quilter's cotton. As I stacked them into my cart, I wasn't optimistic that I'd find just the right prints that would go together for the project I had in mind. Remember, I'm a baby boomer. I was raised in the era when we were told never to wear two prints together. Though my mom had been a quilter, it was more out of necessity. During the depression you used what materials were available. But I digress. They look beautiful spread out on my cutting table, but if I never took a blade to them, they'd be useless. Unrealized potential. Looking back over my sixty-something years, I shake my head over the opportunities I've missed. What would have happened if I'd gone back to work when we first moved to South Carolina? I thought I was applying for a secretarial position, but they offered me a position with much more responsibility, but I turned it down. Or after my youngest left the nest? Certainly I wouldn't have become an author. I learned the craft of writing the hard way. By writing. I made every newbie mistake several times over. And eventually--three times--I received the e-mail that told me a publisher not only felt my book had promise, but that they definitely wanted to publish it, and the sequel. I've heard from readers who've said it came to them at a time when they needed its message. I'm more grateful than I can say that she shared a bit of her story with me, and humbled that God used my book to help her in some small way. And I digress, again. interesting. Result: I was loaded down, shown by the stack of books I lugged home every day. While my employer was paying for my night school, I decided that I might as well take an additional class--three nights at school couldn't be too much harder than two, right? I thought I'd outgrown that tendency, but apparently not. My first book wasn't small. I wrote and re-wrote it--from scratch--three times. Then I revised. Again and again and again. The first time I submitted it, it was close to four hundred pages. My first quilt project began as a table runner and became a king-sized bed quilt. Yesterday I decided that while I was making one set of mug rugs, I might as well cut out the fabric and make two sets while I was at it. I'll be kind to myself and say my reach sometimes exceeds my grasp. Apparently I still have a problem starting small. Then, this afternoon, after I finished the first two mug rugs, there was still time before my date with my husband, so I started two more. Yep. I did it again. But, looking at this morning's small project gives me great satisfaction. Small things have potential to be a big blessing. Whether a smile given to a checker at the grocery store or a few yards of fabric. These strips turned into something larger and more useful. But, would my time last night and this morning have been wasted if I'd chosen to sit down and read? I don't believe so. Perhaps I'm finally learning the lesson. I'm always in training. Perhaps something I read or write--something so small as a sometimes rambling blog post might make a difference. I may never know. So, my friend. Join me on this journey. I'm not going to wait to post until I have something witty or profound to share. I'll try to be concise, but I'm not going to guarantee anything. If you'd like a chance to win a set of these mug rugs--just large enough for a cup of your favorite beverage and a plate of cookies or a sandwich, check back in soon. There are exciting things coming up very soon. I hope you'll come back. I'll try to be concise, but I can't guarantee I'll succeed. 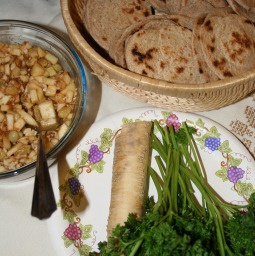 This annual feast was celebrated in conjunction with Passover. In remembrance of God's bringing them out from slavery, they were to eat unleavened bread for the seven days beginning with Passover and to even remove it from their homes for that period of time. In his commentary on the book of Exodus, David Guzik said that it showed the purity Israel was to walk in, illustrated by eating only bread without leaven, after the blood-deliverance of Passover. On the seventh day there was to be a feast showing that a walk of purity in the Lord is a life filled with joy. They were reminded to tell their children why they did this. So many of us pay little attention, equating the feasts with just another piece of Old Testament history, not very relevant to our lives today. But I beg to differ. 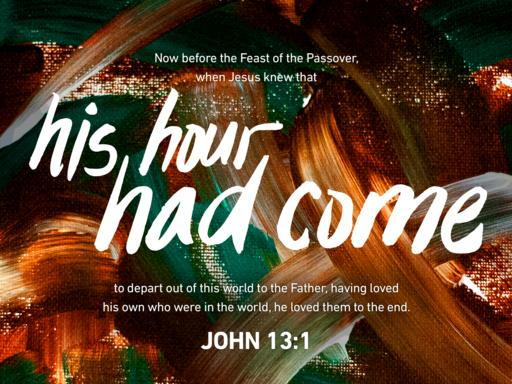 The feasts remind of us of God's loving care for us and point us to Jesus. The Lexham Bible Dictionary says it best. Next up, The Feast of Weeks (Pentecost). It seemed too good to be true. Me, acceptable to God, just as I am? He knew my heart's desperate desire for acceptance. I couldn't earn His extravagant love or unconditional acceptance by good grades or perfect obedience. I'd certainly tried. Like many teenage girls, I was high strung and under a lot of pressure to perform. I knew I'd have to go directly from high school to the work force, and back then secretarial positions required shorthand, which added two hours of homework to an already full load. My fear of failure had my anxiety at a constant spike and my emotions hindered my ability to focus. You may laugh, now, but back in the early 1970's, I had to drop a business class in order to take Home Economics so I could graduate. Then, I picked it up second semester. My mother and I were having problems and I about hit bottom. I craved the presence of God because of the love and I acceptance I felt. Receiving it from the magnificent God who created the universe with a single word created a deep hunger and thirst for Him. Though I was raised in a Christian home, we didn't always attend church, but one gift my parents gave me was the absolute certainty that the Bible is God's absolute truth. He was and is always the answer. I didn't understand how to apply the scriptures, I just knew that He was. And so I studied. Looking back at those years when I was a teenager and a very young adult, I marvel at how little I really knew. One thing I did have was faith. The promise, above, is that we'll be filled. Filled with what? His righteousness. Not our own, which is as filthy rags. (Isa 64:6) His, Christ's righteousness. The same righteousness that was accounted to Abraham in Genesis 15:6. He believed in the Lord, and He accounted it to him for righteousness. More than once as a young woman, after my little girl was asleep, I left dishes in the sink while I spent time with Him. As a lover of music, hymns and worship choruses, it was no hardship to sing praises and dance. Night after night in some of the most difficult days of my life, I spent time in the Word and often filled page after page with my deepest yearnings. During that time that I moved beyond head knowledge into a deeper relationship with God. It was only by satisfying that hunger and thirst for Him by devouring His Word, spending time with Him in prayer and yielding to the Holy Spirit that my life begin to change. This is where the healing of my mind, my will and my emotions began. It was and is a continuing process. But being filled with His righteousness isn't the only blessing. It's only the beginning, and I'll explore more of this subject in a later post. 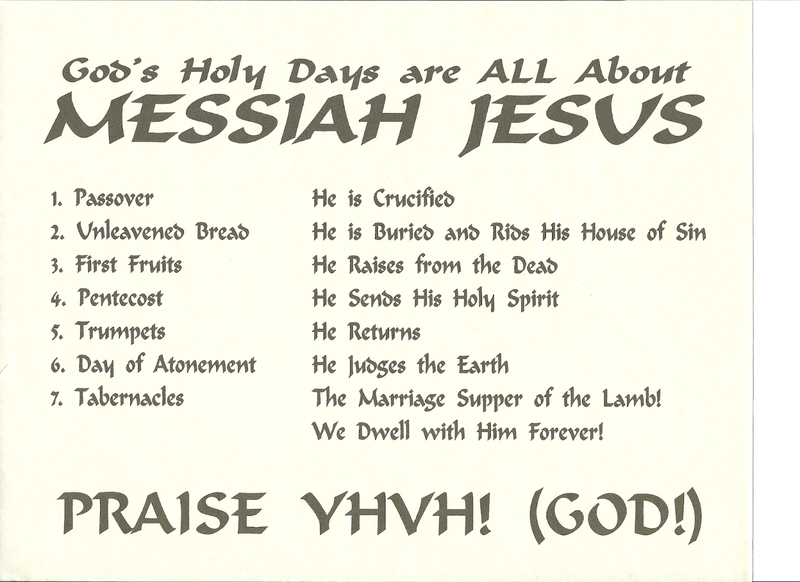 Did you know that God's ancient feasts are about Jesus the Messiah? No, I don't mean Christmas and Easter. I mean the original feasts that God instituted in Exodus. They're clustered in the Spring and then in the Fall. 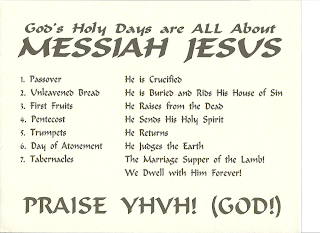 They are the feasts of: Passover, Unleavened Bread, First Fruits, Pentecost, Trumpets, and Tabernacles. Also, the most holy day of the year: the Day of Atonement which falls between the feasts of Trumpets and Tabernacles. Each week I'll talk about a different one. First, Passover. He Is Crucified. If you're familiar with the story of Moses, you know that Passover was instituted by God just prior to the final plague. Through nine previous plagues, the Egyptian Pharaoh agreed to release the descendants of Jacob from slavery and then changed his mind. In preparation, God instructed the Israelites to kill a perfect male lamb of the flocks--sheep or goat-- in the first year of life and place some of its blood on the doorposts and lintel. They were to eat the lamb that evening, roasted in fire, with unleavened bread, in haste. And that's how it happened. The firstborn in the homes of those who obeyed and applied the blood of the Passover lamb to their doorposts and lintels of their dwellings were spared. Do you remember when Jesus was crucified? It was at Passover. It is His blood that cleanses us from sin and makes us acceptable to God. His was the perfect, eternal sacrifice. Jesus, the firstborn son of God, shed His blood so that our sins can be passed over. In fact, His blood doesn't simply cover our sins, it cleanses us from our sins. Some say that the meal that Jesus ate with his disciples--the last supper--was the preparation meal before the Passover meal. I've heard others say that the moment that Jesus died was the time appointed that the Passover lamb was killed in preparation for the feast that evening. It's no wonder that Jesus is referred to as the Passover lamb. Unfortunately, so much of the richness of our Christian heritage has been lost because we've failed to understand its Jewish roots. So the next time you see a familiar holiday on your calendar you might do a little digging. That holiday may have meaning to Christianity as well. Now days with a good camera in every cell phone, snapping a photo to capture a memory that will become precious and knowing the light is just right is common. But when my children were growing up there were twelve, twenty-four or thirty-six shots to a roll of film and each roll had to be sent away to be developed. It's no wonder that a lot of years the photographs were of Christmas around the tree, a birthday, graduation, Now, we can be more spontaneous. I realized yesterday that I do have something tangible that triggers memories.Through so many moves, I've culled my collection of sewing patterns to a fraction of what it was when I was sewing for the entire family. This little girl's dress was my daughter's flower girl dress when I re-married. She was certain that our wedding--hers, mine and Greg's--would be the first day of our happily ever-after. I still have the blue dress. The next pattern was one I made a few times for her, but the most vivid memory was of a bold blue floral fabric on a black background and eyelet lace petticoat, also with a ruffle. The idea was to leave the bottom buttons of the skirt unbuttoned showing the petticoat ruffle. She was in high school at the time and what I didn't realize was that such a frock--much as she loved it--drew jeers and criticism from her peers. Not knowing this at first, I was deeply hurt that she'd loved the fabric and pattern and asked me to make it for her, but rarely wore it. Communication wasn't always our strong point back then. When she realized this, she wore it to church and around the house in the evenings. But until that bit of communication, I suffered unnecessary pain. It's natural to want to remember the good times and to want to leave reminders for ourselves to remember lessons learned years later. That's why I underline passages in my Bible. It's good to look back and remember. When the Lord brought the Israelites across the Red Sea, God told them to have each of the leaders of each of the twelve tribes to bring a large stone and pile them up so that when their sons asked the meaning, they'd remember the story of their deliverance. That's what this final pattern, here, is for me. I made for myself back in 1982, to wear during a Women's Aglow ladies conference. It was a joyous time. After years of struggle, I'd come to a place where I was happy with myself and my life. The Lord had healed many of my emotional scars and I was excited to move forward. Now I look back and marvel that I survived, as many if not most, of my problems were self-inflicted through either ignorance or self-delusion. I have few photographs of that time, but I still have mementos that evoke memories. Memories that remind me of the greatness and mercy of God. Every good gift and perfect gift is from above and comes down from the Father of lights, with whom is no variation or shadow of turning. We were in the foothills of the Cascade Mountains, two and a half hours away from our destination of Anacordes, Washington. There was no convenient rescue, no place to rent a vehicle and no nearby auto repair. We were grateful for the tow truck USAA sent and determined to treat the episode as an adventure. The only road to the only mechanic’s place of business was deeply rutted, packed dirt and in some places not quite wide enough for two cars to pass. As I rode higher up the mountain, squished between my husband and the tow truck driver with a nervous poodle perched on my lap, the sun began to set and the lane began to feel more like a dark tunnel. The tow-truck driver couldn’t have been more helpful, but the fumes from the diesel engine made my stomach churn, and the adventure began to wear a little thin. As darkness fell, our surroundings began to feel more than a little creepy. Finally, after a twenty minute bone-jarring ride that I knew would take a couple visits to my chiropractor to fix, we turned off and the driveway dipped down into one of the most beautiful hollows I’ve ever seen. With a large automobile shop on one side and a home, fenced garden and a playground for a toddler on the other, the place was lovely. We had barely enough time for the tow-truck driver to drop us off at the U-Haul rental so we could rent a van to get our luggage. By the fourth time we drove over that bone-jarring road, I was longing for my chiropractor and a heating pad. Sitting right on Interstate 90 in the Cascade Mountains and close to Snoqualamie Falls, North Bend is a friendly little town. We found a sandwich shop that would accept our little poodle and afterward settled into our rented U-haul to wait for our friend to make the two and a half hour trip to pick us up. I was quietly appalled at the trouble we were causing our friend. There would be, of course, a return trip to get the car. Early Tuesday morning driving from small town to small town, we were all amazed at the beauty. It wasn’t quite the full glory of fall, but still the dew sparkled on the trees and made even the fallen leaves shine as the sun filtered through the trees. At least twice we came around a quick curve to see a little hollow with a smooth, thin layer of morning fog still hanging just inches above the meadow grass. But, it seemed that around every bend something beautiful awaited us. Soon, it was almost embarrassing that a couple of writers could only point and say, “Look! It’s so beautiful. Everything is just gorgeous!” Even the shape of a dead tree stump in the midst of the its hardier fellows drew my attention. Though the carpet of leaves littering the side of the road were crushed, still they shined. Funny, the trip over that dirt road wasn’t nearly as uncomfortable on the return trip. Possibly it was the suspension in my friend’s van. Perhaps it was that the sense of adventure had returned.